Windows Movie Maker is a software which default installed with windows operating system as you are getting default installed Microsoft Paint, the newer version launched with windows 7 that is windows Live Movie Maker, Apart from changing its name, many new features added so for.The look and feel got changed and functionality also much different than movie maker but creating or editing a video through windows live movie maker is so easy. 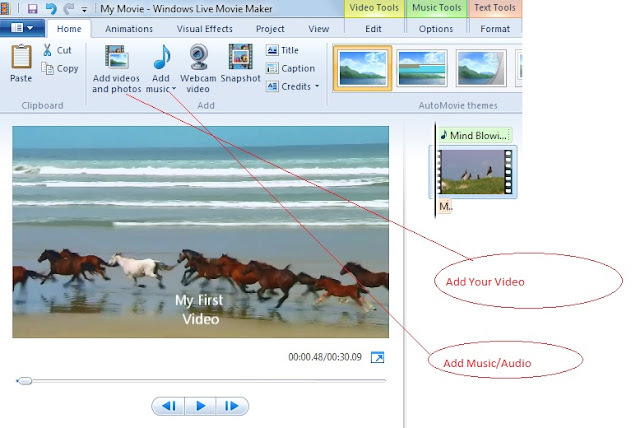 Have you tried to create video in windows live maker and tried to mute the volume of existing video and want to add new music to video or want to apply new music to the video. 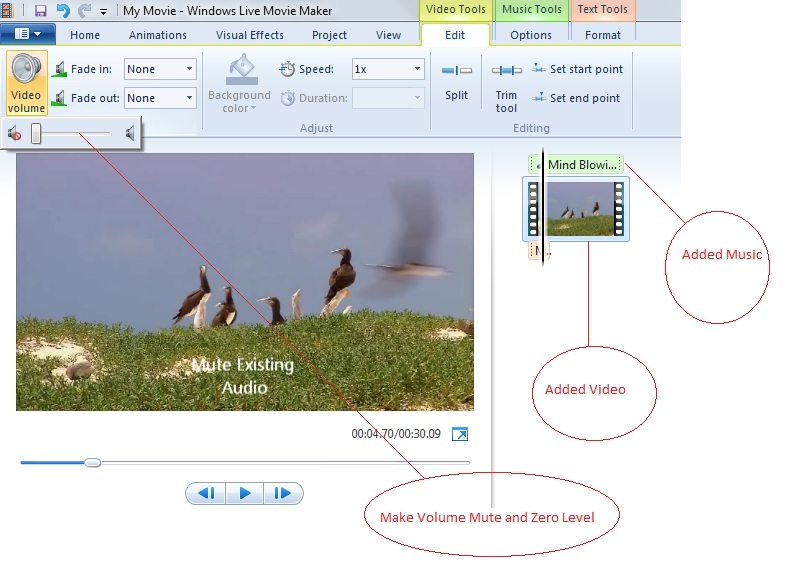 When we are creating video then there might be some noise so you want to mute the noise after adding a music on video.Windows movie maker had this feature with video strip it self and you were able to mute the video, but in Live movie maker this option has moved in Edit option.To mute noise or music of existing video Go in Edit tab and set video volume at zero level, You can apply some animations effect and visual effect on video, now your video is ready to play and save.After checking once whole video, save it on your computer. Note : You must have installed Windows 7 on Your Machine to create a video in Windows Live Movie Maker if installed XP on your machine then available version is Windows Movie Maker. This entry was posted in Computer on April 29, 2012 by Yogesh Bajpai.